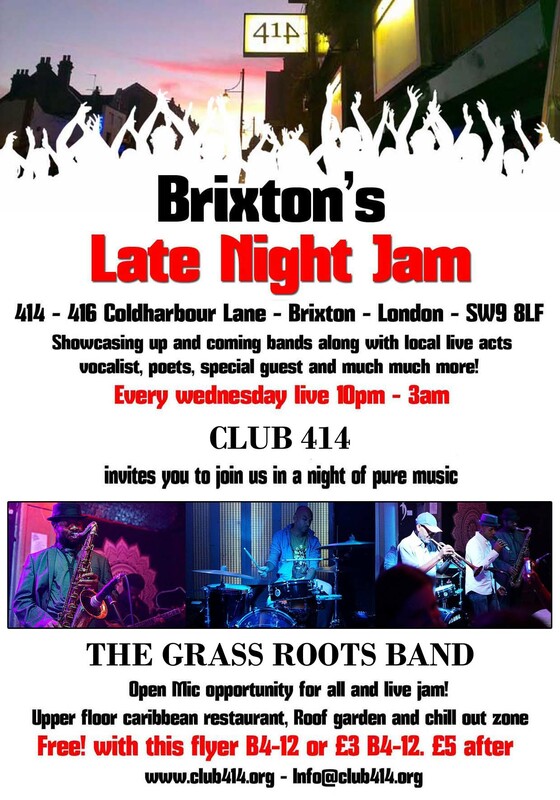 Fresh start at the 414 every Wednesday night from 10pm till 3am. Doing what was our true intention from day one giving young and upcoming artist musicians the opportunity to play in front of a live audience in order to gain that vital experience needed before moving on to bigger and better things. Artist and MC (Master of Ceremony) Be.Atwell will take care of the night’s proceedings accompanied by the outstanding Grass Roots Band.